Have you ever been at a conference or a presentation and the person introducing the “Speaker” is awkward or stumbles over the pronunciation of the speaker’s name? Even what you think is a simple name? Part of any speaking gig is to be introduced. It’s the “set up” to you and your message. Wouldn’t you like it to be perfect and not have your name, title or whatever screwed from the opening of your talk? Yes, the introduction is the “opening” of any presentation. Yet, it often doesn’t happen. Having delivered over 1,000 presentations, I’ve heard my name botched, the title of my presentation misstated or blatantly wrong, and at times, nothing like I emailed or snail mailed to the meeting planner. Of course, I smile on the outside, and cringe on the inside. Start with creating your own introduction. Keep it short. If your name is unusual, tell them how to pronounce it in the intro (my last name—BRILES—rhymes with SMILES). Put in pauses using an ellipsis … if you have “punch” and laugh lines. If appropriate, the introducer can let them know that you are offering attendees a special discounted price while you are there. Be generous—think 10-20 percent discount OR donate the percentage to the group—many have scholarship funds, something special that would be meaningful to participants. Include your picture on your introduction (a current one, please) … your introducer wants to “see” who you are. Create your introduction in a font that is 14 or 16 point, in bold and double-spaced. Have your introduction on your website under your Speaker tab. Send your introduction to the meeting planner. If the meeting planner isn’t introducing you, ask who is—call for a short hello; thank him or her for introducing you; and if you have an unusual name, go over its pronunciation. Always have two printed copies with you at the event as a backup (one for the meeting planner and the other for the introducer). Otherwise, you may end up having something read that the introducer found online. If you speak to different industries, you will want to tweak your introduction. I had them for associations, healthcare, corporate, and women’s groups. It is not uncommon that the role of introducing you is handed off to someone and not a lot of thought is put into the “who” that someone should be. And sometimes, he or she is nervous; sometimes a poor reader; sometimes a winger; and it’s not uncommon for the introducer to stumble over the copy and mispronounce the simplest of names—maybe yours. More times than not, your carefully penned introduction goes missing. That’s why you carry an extra with you. You want your introducer to be your supporter. If you have a book, be prepared to give away signed copies—your introducer, host sponsor, helper at the book table, etc. Have an extra printed copy with you. You may have handed one off to the meeting planner when you arrived, yet it can easily go missing. Whoever is introducing you will be grateful, especially if yours is missing in action—it happens! You may want a line that will be a “tell” for you based on the audience reaction—i.e., is there laughter? In the introduction I used for my healthcare association audiences, I always included a line or two that based on the audience response, would direct me to know which “opening story” I would use. Sometimes, I included a range of groups I had spoken to in my introduction. The purpose: to let a varied audience know that I could handle and interact with a variety of industries, occupations and ages. Dr. Judith Briles is The Book Shepherd® and author advocate who excels at working with authors to create books they never regret. She is the award-winning and best-selling author of 36 books, including How to Avoid 101 Book Publishing Blunders, Bloopers & Boo-Boos and Author YOU: Creating and Building Your Author and Book Platforms. To date, her books have been translated into 16 languages with over 1,000,000 copies sold! Her books, and work, have been featured in over 1,000 radio and television shows including repeat appearances on CNN, CNBC, and Oprah. Print publications include Newsweek, People, Time, the Wall Street Journal, and … the National Enquirer! Today, she will speak on _______________________________ . Our speaker today is known as a crazy book lady and The Book Shepherd®. Judith Briles is the author of 36 books including How to Create a $1,000,000 Speech and Avoid 101 Book Publishing Blunders, Bloopers & Boo-Boos. She’s worked with over 1,000 authors and has helped create more than 500 best-sellers. Judith Briles has spoken in front of such diverse groups as the Florida Writers Conference, the 8th Grade Class of Portola (por-tol-la) Valley Elementary School and the Tank Division of the US Army! She’s been featured on every major TV show from Oprah to CNN to Waterloo’s public TV station and in the Wall Street Journal, People magazine and … the National Enquirer. Her topic today is ___________________________. Judith will be with us throughout the conference and available to answer your questions at her book table. You are going to spend the next hour with someone who is snappy, sassy and very savvy about book publishing and marketing. The Book Shepherd®, Dr. Judith Briles will deliver the juice to spring all authors to action to achieve their publishing goals … and that means you! 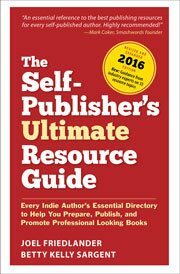 She has guided 1,000 authors to book completion and generated over 500 best-sellers. Today, she delivers ten amazing Ninja Book Marketing Tips to Soar Your Book Sales. Make sure you register for face-to-face time with her during the conference. Get her books in our bookstore. Please welcome The Book Shepherd, Dr. Judith Briles. There you have it. Introductions do not need to be boring. And, you don’t want an introduction that is lengthy—remember, if there is a conference brochure, it usually has your bio info in it. And, unless you are speaking to an academic type of group, you can skip all the degrees and where you went to school. If you’ve recently been honored with a prestigious award, adding a line about that might make sense. Punch yours up to match your audience. Post them to your Speaking tab on your website in both a Word document and a PDF. Your presentation starts before you say one word. Write out what you want the audience to hear. Hello Leslie— you ate assuming that the Introducer is clever. Don’t. Many botch the job.. and Intros are often last minute thoughts. What they do is go to the Internet and grab the first thing that surfaces. The Intro is to set the stage. You want it to shine. Great idea to write the introduction for them. But why not let them do part of your work? I’m with you Nate … different audiences … generations … industries … etc. … tweak a bit. When you arrive at the event early, try to connect with the person who will be introducing you. Ask if you can do a dress rehearsal and ask them to read the introduction. I’ve done this and sometimes remind the introducer to put the emphasis on certain words that already appear in bold type. Yikes … and you wonder … why would an introducer say that??? Hmmmm … that’s assuming a lot Marcus. An introduction sets the stage. Provides subtle information to let a group know of the array of topics and/or audiences that you connect with.My two bits.